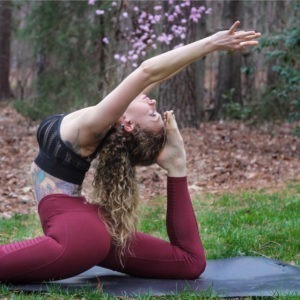 “After doing yoga for many years including two teacher trainings, workshops and hosting numerous yoga challenges on instagram, I have tried countless yoga mats. Maybe for this reason I am a bit spoiled and have become very picky about my mats – I can’t stand to practice on one that is not extremely grippy or the right thickness. Yoga mats have come a long way and the yoga “sticky” mat is actually a western invention, now used all over the world. Back in the day, yogis would practice on the bare earth, wooden floors and even on tiger skins or deer skins. People then started practicing on towels or cotton mats and then rugs. From what I have read, it has only been in the past 20 years or so that people have been using something similar to the yoga mats we see today. Over the years, the art of making the perfect yoga mat has been fine tuned – no more slipping in down dog or bruising your knees. Hot yoga has also became very popular and the amount of sweat produced during a class renders some of the best mats useless. I have never really liked hot yoga, but when I moved to Washington in April 2018 I tried a studio called Modo Yoga Seattle near the Airbnb I was staying at while I looked for a place to live, and absolutely loved it. I did not own any of those hot yoga towels I see everyone using so I decided to see how my Mantra Luxe Pro mat held up. This mat worked perfectly! I was able to maintain my grip and safely do my poses without slipping and sliding everywhere, even during an extremely difficult class at temperatures above 100F. What I also love about the Mantra Luxe Pro mat is that it is the same quality and material as mats that cost about 25% more. They are just the right thickness to give you protection from the hard floor and the ‘stickiness’ that allows for amazing grip is perfect. I’m also 5’11, so the length of this mat is great for us taller ladies too.